The twelve essays in this volume all began their existence as contributions to workshops held between 2009 and 2011 by a Danish-Swedish research network called The Aristotelian Tradition: The reception of Aristotle’s works on logic and metaphysics in the Middle Ages, headquartered in Gothenburg and funded by the Bank of Sweden Tercentenary Foundation. Most of them were written by members of the network, some by invited speakers. The volume includes studies of texts by, among others, Apuleius, Boethius, Anonymus Aurelianensis III, Michael of Ephesus, Averroes, Anonymus Cantabrigiensis, Nicholas of Paris, Robert Kilwardby, Anonymus O, Thomas Aquinas, William of Ockham, and Francisco Suarez, relating to themes and passages in Aristotle’s Categories, On Interpretation, Prior Analytics 1, Posterior Analytics 1, Sophistical Refutations and Metaphysics A and Z. The book concludes with a new edition, with English translation and commentary, of the first part of a fiercely anti-Aristotelian work, which has been described as the starting-point for Renaissance Platonism and Aristotelianism alike: George Gemistos Plethon’s On Aristotle’s Departures from Plato. Börje Bydén is a Research Fellow at the University of Gothenburg and a member of the research programme Representation and Reality: Historical and Contemporary Perspectives on the Aristotelian Tradition based at the University of Gothenburg and funded by Riksbankens jubileumsfond 2013–2019. He has published a monograph, Theodore Metochites’ Semeioseis gnomikai and the Study of Natural Philosophy and Mathematics in Early Palaiologan Byzantium (2003), as well as numerous articles on ancient and (mainly) Byzantine philosophy. He is currently editing Theodore Metochites’ paraphrase of Aristotle’s De anima for the series Commentaria in Aristotelem Graeca et Byzantina (De Gruyter, Berlin). 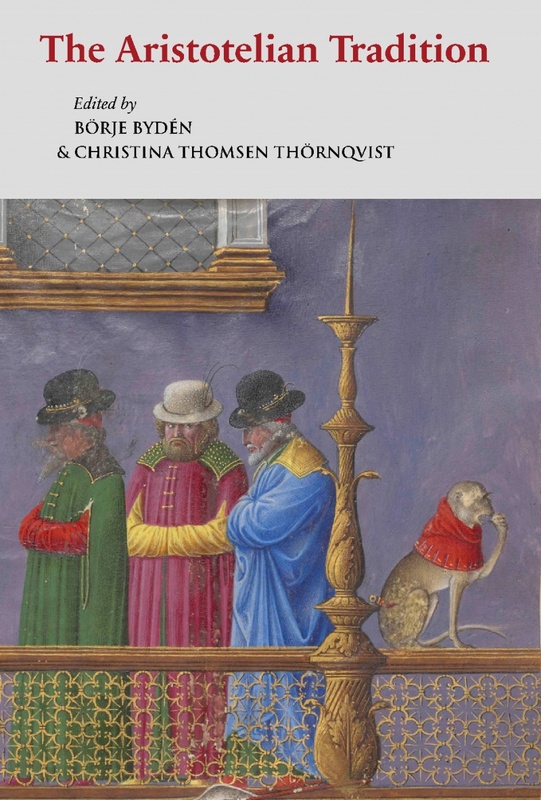 Christina Thomsen Thörnqvist is Professor of Latin at the University of Gothenburg. Her publications on the Latin reception of Aristotle’s syllogistic include critical editions of Boethius’ De syllogismo categorico and Introductio ad syllogismos categoricos (2008) and of the presumably earliest known Latin commentary on the Analytica priora, the so-called Anonymus Aurelianensis III (2015). Thomsen Thornqvist was coordinator of the network The Aristotelian Tradition 2009–2011 and is now the project leader of the research programme Representation and Reality: Historical and Contemporary Perspectives on the Aristotelian Tradition based at the University of Gothenburg and funded by Riksbankens jubileumsfond 2013–2019.